Geneva, March 16, 2018 (SPS) - Hundreds of Saharawi community in Europe on Friday held demonstration in Swiss capital Geneva, denouncing the Moroccan occupation of Western Sahara and the lack of progress in the UN-sponsored settlement process. The demonstration was called for by Sahrawi civil society groups and attended by political, human rights and solidarity figures from several countries, who expressed their condemnation of the recent renewal of the fishing agreement between Morocco and EU, which includes Western Sahara, in flagrant violation of the ruling of the European Court of Justice. 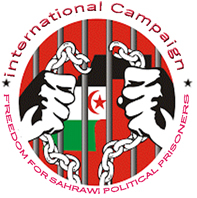 The demonstrators raised pictures of Sahrawi political prisoners in Moroccan prisons, demanding their release after the deterioration of the health condition as a result of torture and medical negligence.